This was my first view after waking up in my tent and unzipping the door. The light in the mist brought focus to the trees and beach close at hand. It had been a warm summer night, and there was a fleeting cool in the air that would soon give way to the warmth of a long summer day. Looking straight up, the sky was blue – I’m used to fog and cloud being cold, but it wasn’t the case that day. 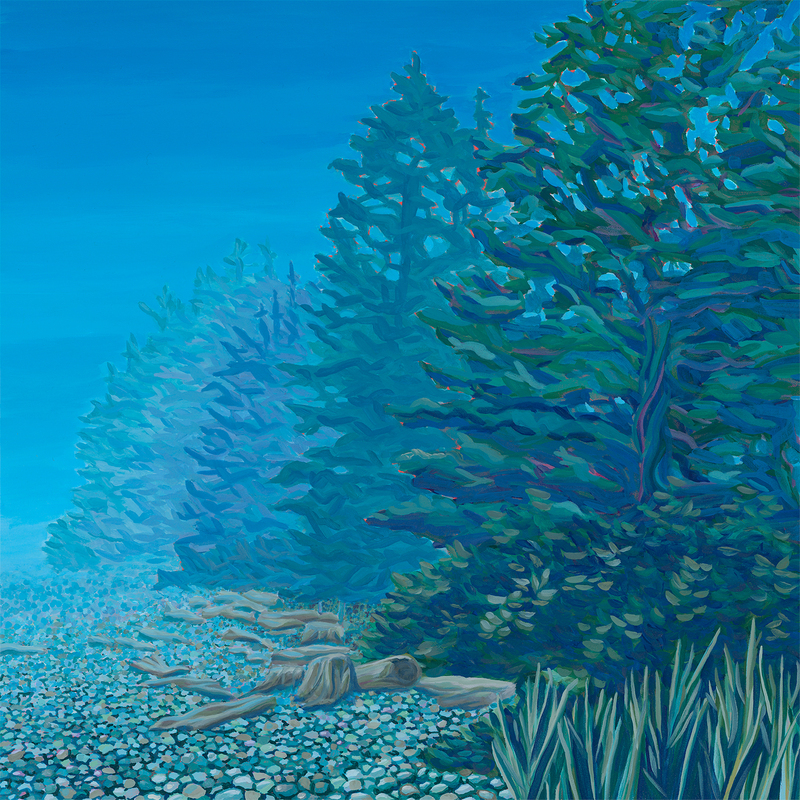 This painting will be a part of my upcoming show at the Victoria Central Library, Nov 3rd to December 15th. Prints and the original painting are available here.